Come join us for our annual Septemberfest Car Show! 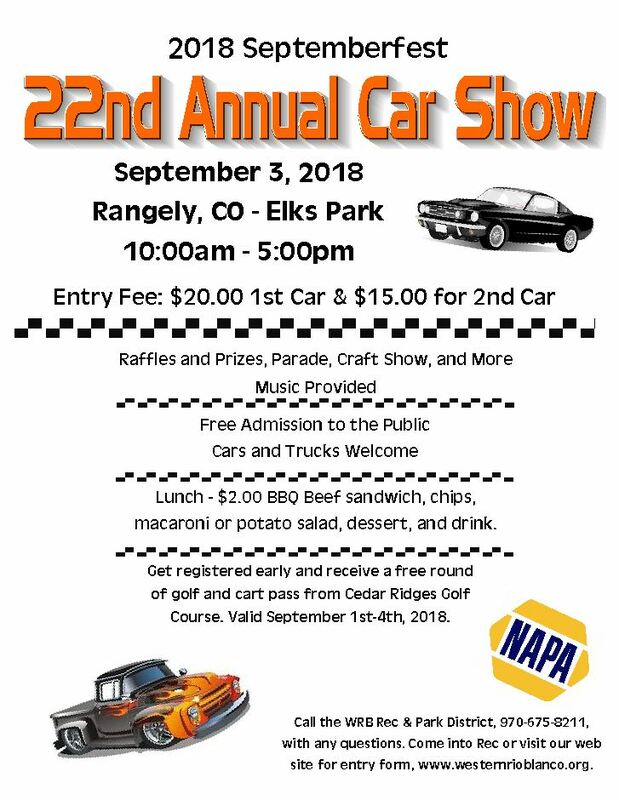 Located in Rangely, Colorado, this show displays lots of classic, and is easy to enter! Thousands of people will see your wheels, and you’ll be able to meet other car fanatics!